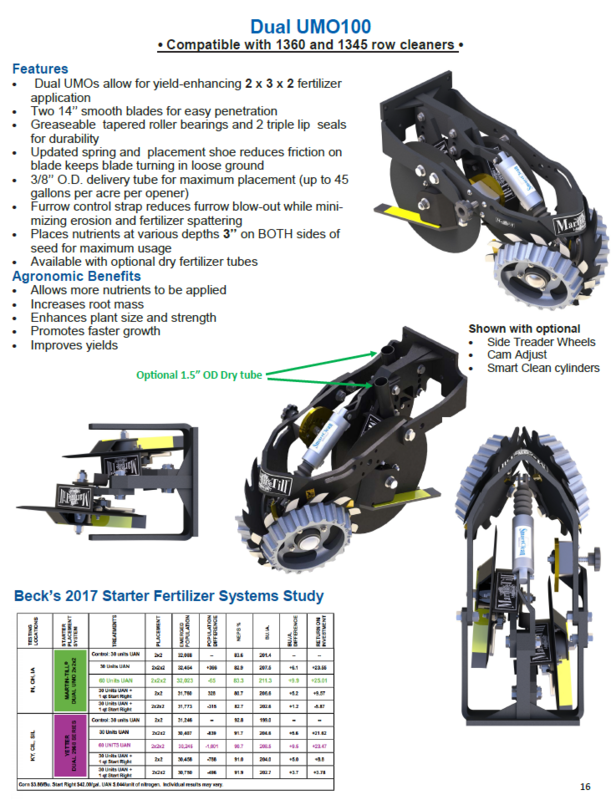 Dual UMO-100 Fertilizer opener/WA1345 row cleaner combo places fertilizer 3" on each side of the row at seed depth. Fits most Row units including John Deere 7200 & later series, Harvest International Laser Pro 1,White 9000, Case IH 2000 and others. Perfect for high speed planting Furrow control strap keeps soil from blowing out.